We're cooking up some serious fun this May. Here's where you'll find us. Central District Cyclery is whipping out some sweet stuff this spring, including two new weekly rides, plus a road trip south to Maple Hill. In case you were distracted by the run of Barry-Roubaix, Yankee Springs TT, and Fort Custer, your weeknights are getting a bit more spicy, too. On Wednesdays and Thursdays, you're busy. 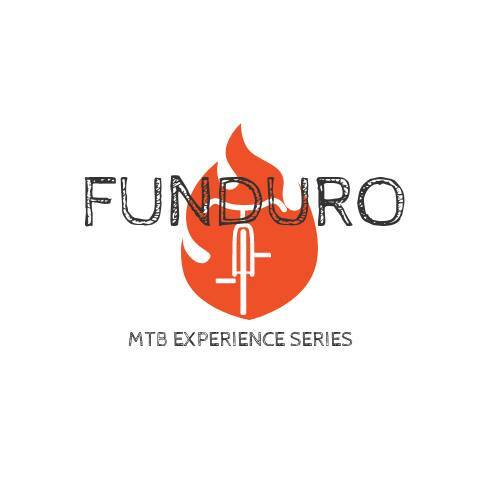 On Wednesday, we're chasing glory and tacos with our pals at City Built Brewing with the FUNduro. Two timed segments, two transfers, and 100% chance of tacos every Wednesday at 6, rolling from City Built. Thursdays, we're staying at the shop with Dirty Thursdays. Some of you hood rats already joined us last week, so you'll get it. If you missed it, don't miss out again. We ride the pump track, make it bigger, weirder, and incrementally more dangerous until it's dark. Interval training, but with beer. It's also a great chance to dial in your suspension, too. On May 20, we're taking the show on the road to Maple Hill. We'll carpool from the shop at 9am, or you can meet us down there. Maple Hill is a new trail that was just completed in August of 2017 at Markin Glen Park, just outside of Kalamazoo. We'll do a few loops of the 5.5 mile trail, pick some downhills to shred, and throw a little shrimp on the barbie, too. Of course, it's also a great time to help get the trails ready for summer. WMMBA has a number of opportunities to donate a pint of elbow grease to help Luton, Cannonsburg Ski Hill Trail and Ionia Rec get all polished up for the rest of the season. Remember, we'll make a donation to WMMBA every time you buy a mountain bike from us! Down and Dirty (Kanza) on June 3! This Saturday, our very own James Gunderman is heading out for another run at the Dirty Kanza! The 200 mile race takes riders through the rolling hills of south of Emporia, Kansas. It's early June date means the weather is always a toss-up, with rainy years turning the race into a muddy, slow slog. Dry years can offer clouds of thick, choking dust for hour after hour, mile after mile. The race has become the iconic gravel road race, with hundreds of cyclists from all over the country flocking to Emporia for the race. There are all 100, 50 and 25-mile options, ensuring there's something accessible for all skill levels. Dirty Kanza also offers some interesting bike choices. You'll see riders on road bikes, gravel and 'cross bikes, mountain bikes, even fat bikes. In muddy years, lots of racers opt for singlespeed to avoid potential drivetrain disasters, grinding out a massive day without shifting. It's a big deal. You can follow James LIVE! on the Athlete Update website on Saturday, and don't miss his recap on Thursday from 7-8pm at the shop, where he'll tell us how it all went down!